Technically it’s not Valentine’s Day any more, and I’m sad my day to celebrate pink and chocolate and love is over for another year. But this drink certainly keeps the celebration going! 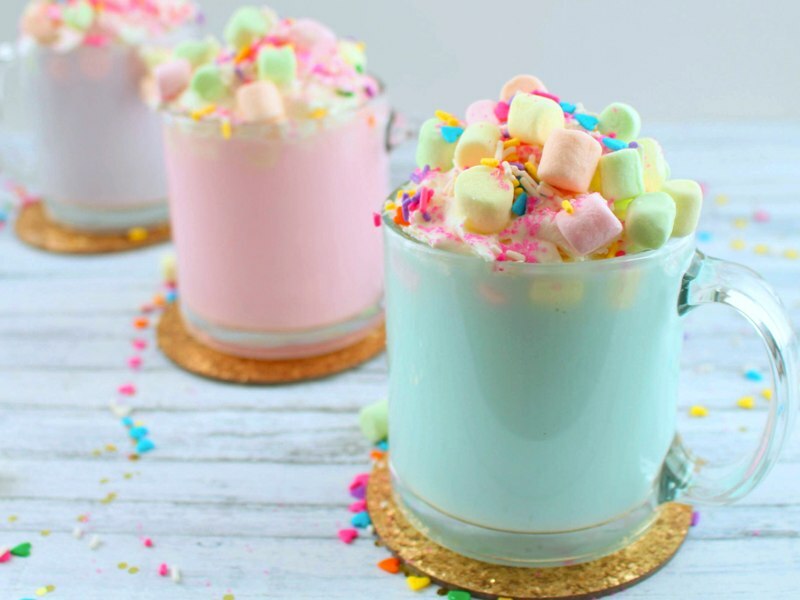 Unicorn Hot Chocolate is nothing new; I’m sure by now you’ve seen cute video tutorials on Facebook or have heard about the now-famous cafe near Disneyland that serves up pastel rainbow drinks and treats. 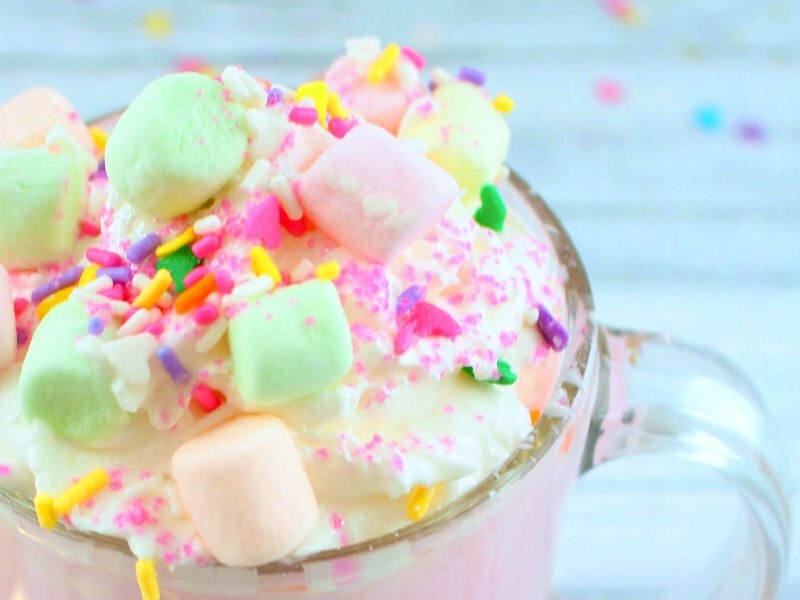 I’m all about the cute, pink, yummy foods so I was itching to make this one at home, but how could I put my unique spin on it? And then it hit me …. 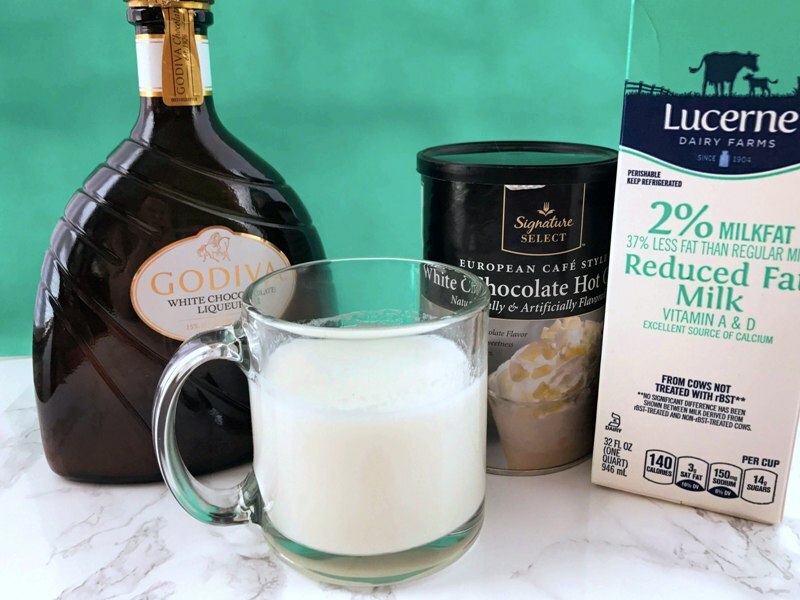 I can add my “secret ingredient” – Godiva White Chocolate liqueur! Oh, how this beautiful liquid makes my heart happy! 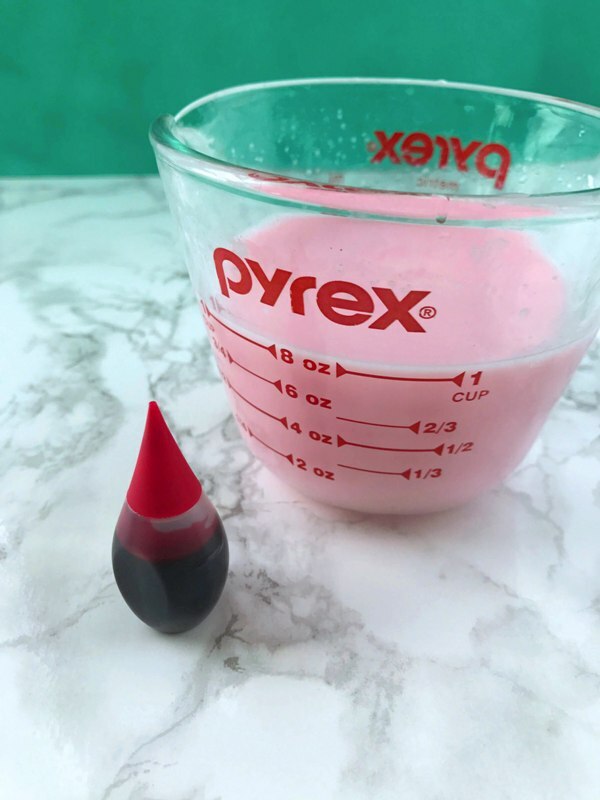 It’s delicious as a shot by itself, or drizzled over ice cream, and it’s also the star ingredient in my popular Pink Velvet Martini recipe. 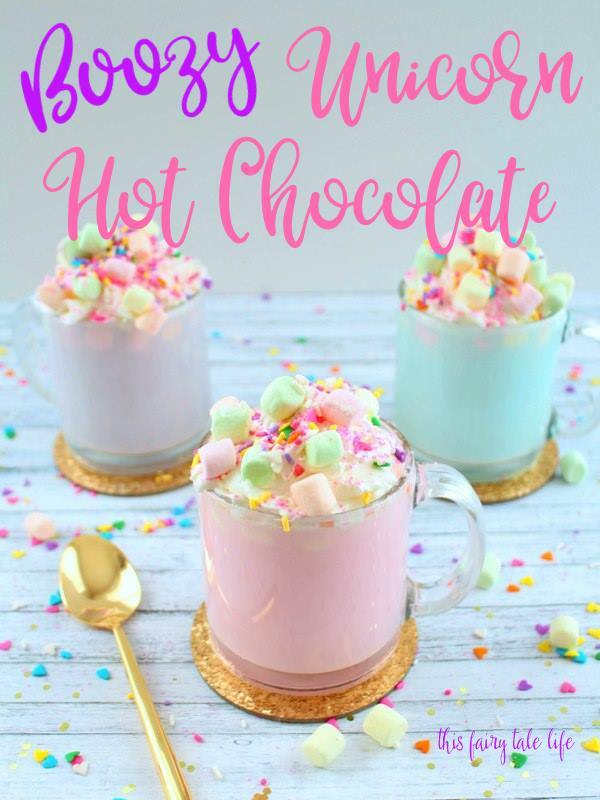 It was the PERFECT special ingredient to make my Unicorn Hot Chocolate recipe stand out from the rest. I hope you enjoy it! Step 2 – Add one ounce of Godiva hot chocolate liquor and stir well, until mixed. Step 3 – Add food coloring to the hot chocolate per your color preference. To get the pink hot chocolate it only took one drop of red. For blue it was one drop of blue. For purple, just one drop of both red and blue. Easy peasy! Mix well until the color is blended in. 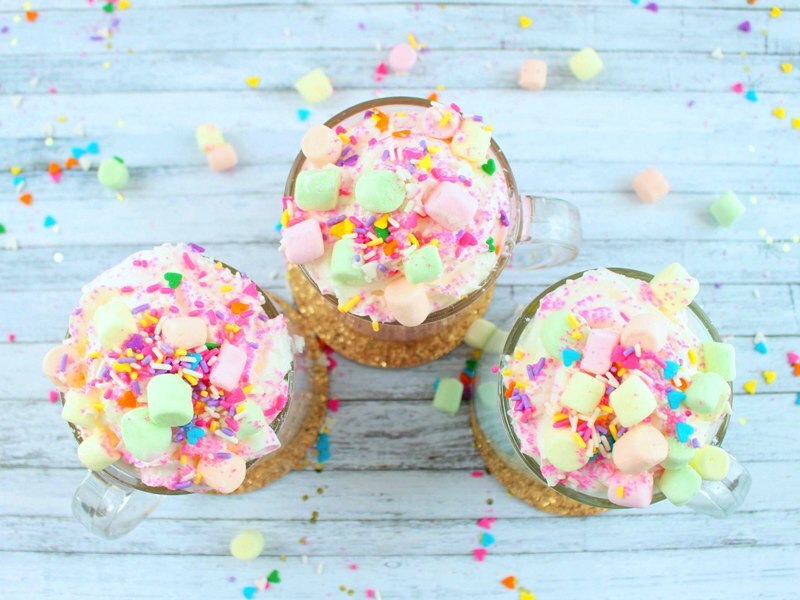 Step 4 – Top with a layer of rainbow marshmallows, then whipped cream topping. 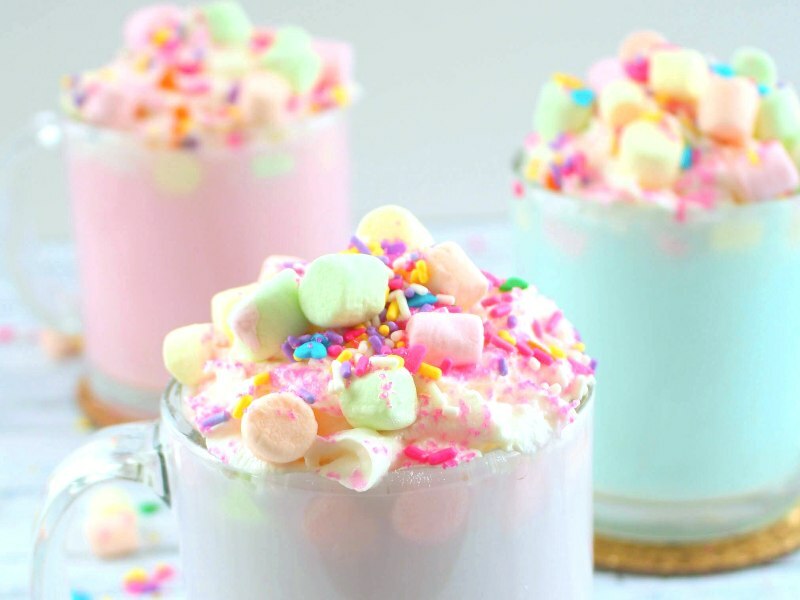 Add additional marshmallows and sprinkles on top. 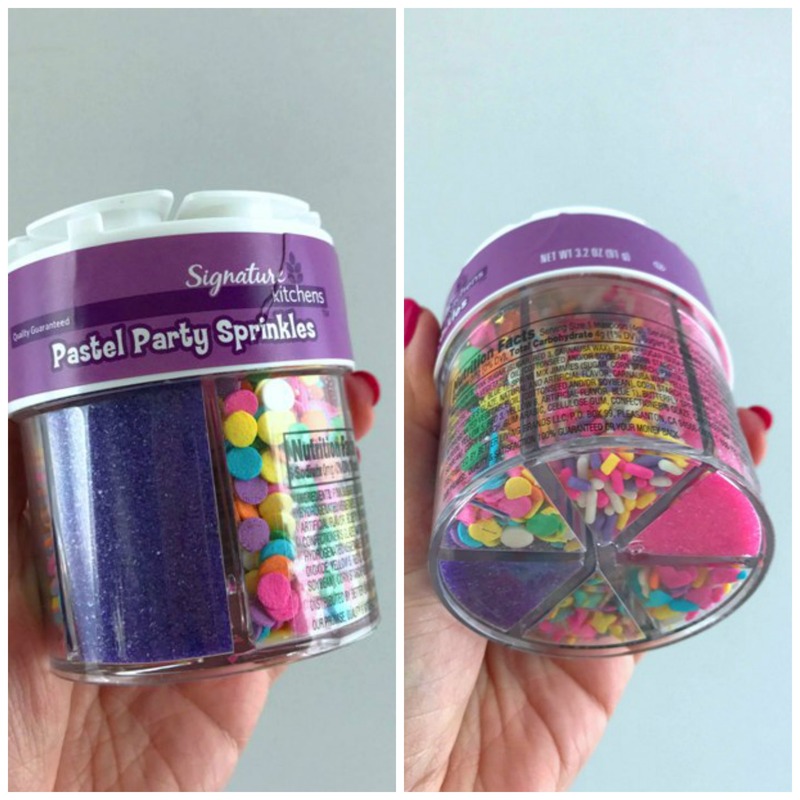 I found a fun assortment of rainbow sprinkles at my local grocery store in the baking aisle, so look around and see what strikes your fancy. You can also check the baking aisle of your local craft stores. If you enjoyed this recipe, please pin it on Pinterest!